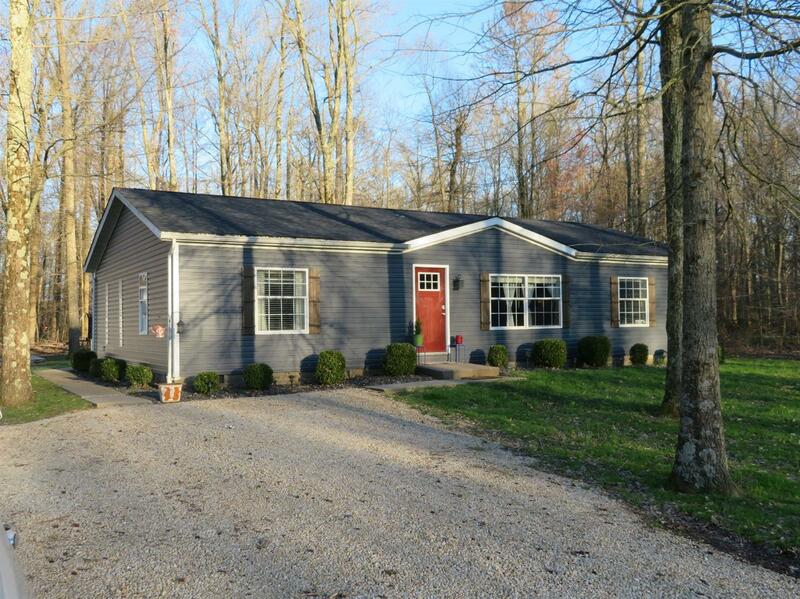 Well Maintained Ranch that offers 3 bedroom 2 bath sitting on a wooded acre. 24x40 detached pole barn with electric, concrete and a concrete porch. Has new siding, roof, shutters, sliding glass door and new hot water heater. Kitchen has plenty of cabinets along with an island and some new lights and appliances are included. Spacious bedrooms with walk in closets. Master bathroom is spacious with double vanities, soaker tub with a shower and tile floors along with an storage area. Sunman Dearborn Schools. Close to shopping, school and I-74. Own this home for as little as 3.5% down. Possession is negotiable. OPEN HOUSE CANCELLED..Priced to sell at $142,900. This listing courtesy of, Re/Max Preferred Choice .